Nosework is becoming the Next Big Thing, I think, with dogs. It is also a valuable asset. I have had dogs that found missing cats (which involved actual tracking by an untrained dog) and dogs trained to track and dogs who watched others use their noses and learned from that. Dogs can be taught to find and alert to almost any substrance. This is a fun, easy way of introducting "Nose Work" which is a little different from regular tracking. “The author of this book is a veterinary specialist in canine behaviour in Germany. Previously she has worked as an assistant doctor in a veterinary clinic and as a search and rescue trainer in the German Technical Emergency Service. She has also completed a traineeship in Sea World USA and studied animal behaviour counselling in Southampton England. Viviane regularly lectures to vets, animal trainers and owners of companion animals on the subjects of positive reinforcement training and gentle training methods. 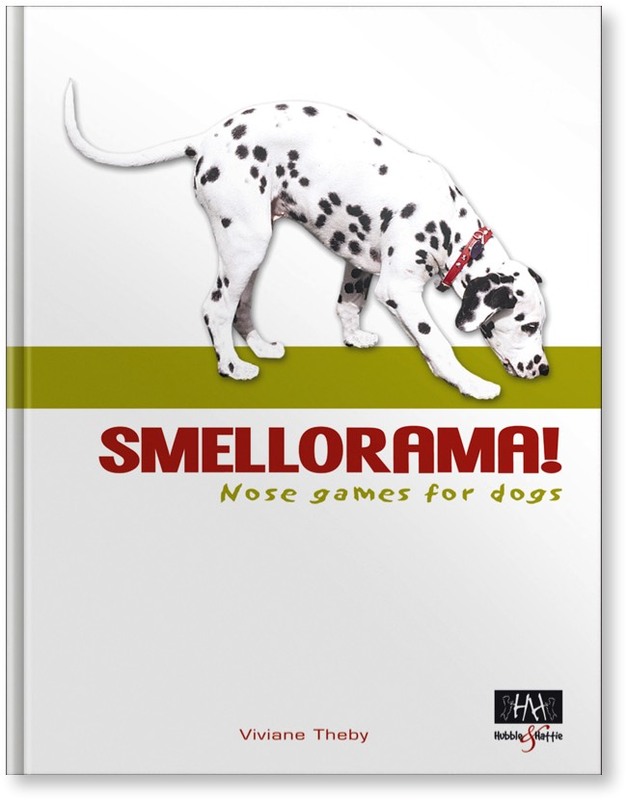 The book goes through a lot of exercises to teach (show) your dogs different things to do with its nose and explains the reasons why and just how valuable a dog's scent really is in all walks of life.